"Growth is never by mere chance, it is the result of forces working together." "The entrepreneur always searches for change, responds to it, and exploits it as an opportunity. " The Austrian Business Council (ABC) is uniquely positioned to help both Austrian businesses and individuals through an increasingly competitive global market environment. 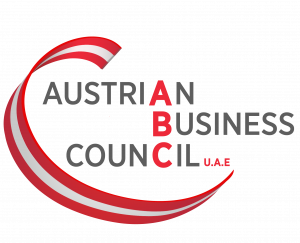 Whatever your involvement with the Austrian/UAE trading relationship, becoming a member of the ABC will be invaluable in helping to give your organization a competitive advantage. Our members come from a diverse group of industries. A Membership with us is available to every Austrian related company and individual involved in business relations between Austria and the UAE.